Akiles CoilMac-ECI spiral coil binding machine with electric inserter a foot pedal operated double roller mechanism. 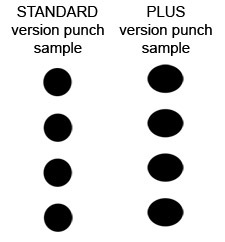 Disengageable pins fit almost any standard paper size punching. Plastic and metal coil compatible. - Single Punch Length: 13"
Akiles CoilMac-ECI spiral coil binding machine with electric inserter features a 4:1 pitch and 5 disengageable pins designed to give clean punches. Capable of punching up to 20 sheets of 20 lb. paper or 2.6mm hardboard (28 sheet equivalent). 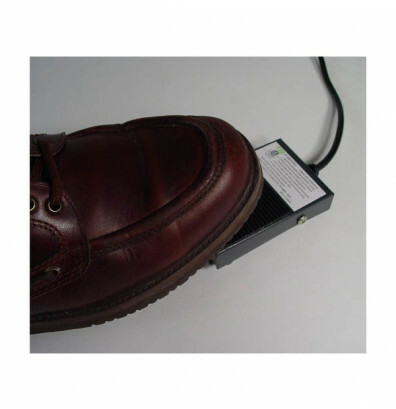 The foot pedal operated double roller mechanism provides high friction and durability. Plastic and metal coil compatible. 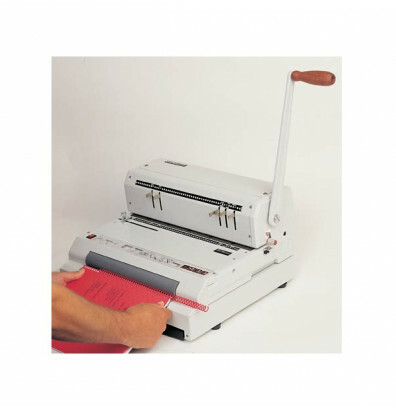 The Akiles CoilMac-ECI electric inserting binding machine offers a side margin control for evenly centered punches for all document sizes. 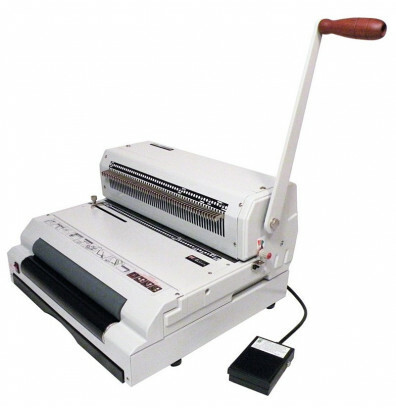 The open throat design allows punching of sheets up to 26" long. Front opening waste drawer holds punch chips between operations. 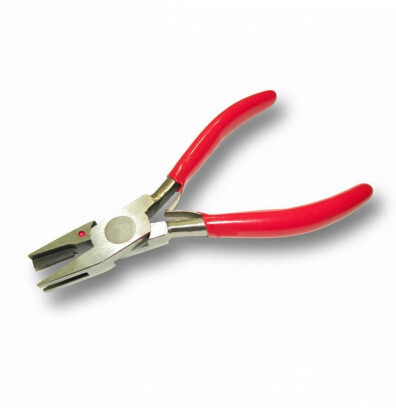 Includes a coil diameter selector and a premium pair oval coil crimpers. Rugged all-metal construction with non-skid feet for slip free use. 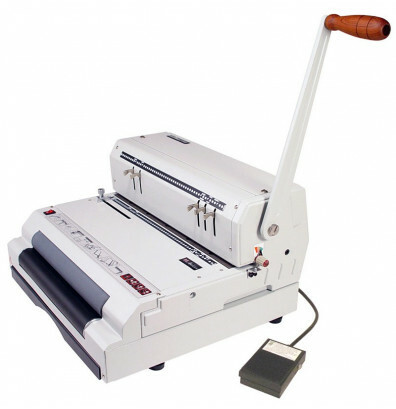 This electric inserter coil binding machine is available with standard 4:1 pitch or 4:1 letter (Plus version). 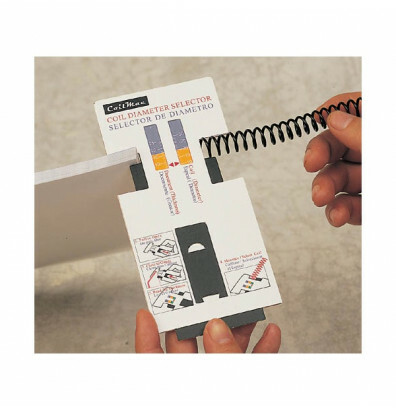 The CoilMac-ECI Plus uses oval holes to improve binding speed and includes fully disengageable pins for professional level punching of any paper size. Extended 13" single punching length with open ends to easily punch documents of lengths up to 26"
We looked around many sites to find an electric coil inserter machine. This machine was easy to set up, punches around 20 sheets at once which is a real time saver and isn't too bulky. Compared to other machines, its a great value. 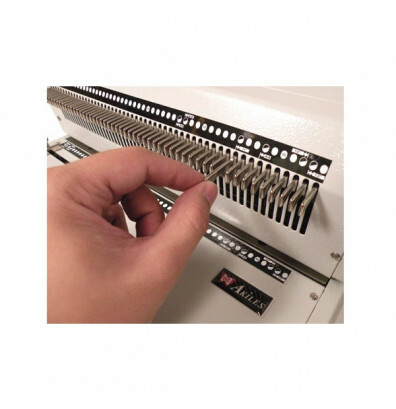 If you haven't used a coil binder before, it takes a few tries to master inserting and clamping the excess off. It's very simple once you get the hang of it.